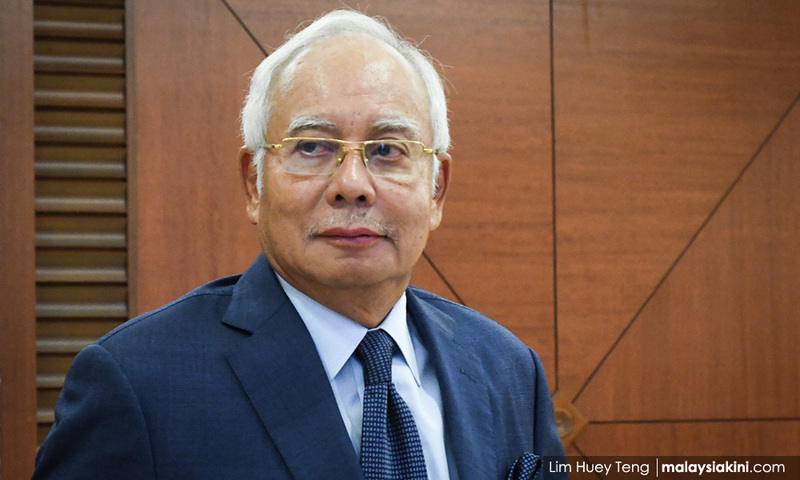 Former prime minister Najib Razak is angered by the FundMyHome, a property crowdfunding scheme that he said was conceived without thoughtful planning in Budget 2019. Taking to Facebook, the former finance minister, who has tabled nine consecutive federal budgets, said sardonically that he was 'impressed' by the property crowdfunding scheme. This was because the platform of FundMyHome, which is owned by a private company, was launched two days after Budget 2019 was tabled on Nov 2, he said. Najib was referring to the homeownership scheme, established by EdgeProp Sdn Bhd, which was launched in Semenyih, Selangor, on Nov 4. The Securities Commission (SC), which is entrusted to regulate and facilitate pier-to-pier financing schemes, claimed it would examine the details on Nov 5, three days after Budget 2019 was announced, the Pekan MP said. Najib added: "It was as though a specific party knew that such scheme would be announced. "I feel that lots of things announced in Budget 2019 lack thoughtful planning or are still under study. As such, they will not benefit the rakyat. "I am a bit angry with the scheme. God willing, I will share more of my views about it." Under the scheme, housebuyers only pay 20 percent of the property value and will get full use of the property for five years, while the remaining 80 percent is funded by investors. The FundMyHome scheme also raised concerns among those in the property sector, who pointed out the risks such housebuyers have to take, including forgoing the first 20 percent capital appreciation to the developer. The investor is said to be hit first by any eventuality of depreciation upon forking out the 20 percent upfront payment. Some also cried cronyism as the scheme also benefited a supporter of Pakatan Harapan.